Integrating products and services to customized solutions can help firms differentiate from their competitors. In practice, however, various companies fall short in extracting value from their customers. Therefore, this paper focuses on pricing aspects as central means for value appropriation in the context of solutions. Following the resource-based view of the firm, the authors adopt a process-oriented perspective on pricing practices in order to identify crucial factors and activities. 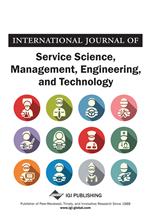 Based on 15 in-depth interviews with practitioners from various industries, this paper derives six steps of a price management process for value appropriation in the context of solution selling and presents critical activities and routines within each step. Global competition and declining margins have made enterprises in the capital goods sector increasingly aware that assuring low cost, product performance and high quality is no longer sufficient for long-term success (Krishnamurthy, Johansson, & Schlissberg, 2003; Picot, Reichwald, & Wigand, 2008). Thus, suppliers in diverse industries try to differentiate themselves by offering customized and integrated solutions (Tuli, Kohli, & Bharadwaj, 2007). According to definitions that are widespread in the academic and practitioner literature, there are three major characteristics of customer solutions. Firstly, a solution involves always a combination of goods and services. Secondly, the goods and services in a solution are designed to address a customer’s specific requirements, i.e., they are customized. Thirdly, the goods and services are integrated within the solution, which means that they are specifically engineered to better work and fit together (Sawhney, 2006; Tuli, Kohli, & Bharadwaj, 2007). From a strategic perspective, moving into the solution business involves a shift from merely offering physical products, spare parts and support services to the more complex delivery of performance, optimization and productivity for customers (Foote, Galbraith, Hope, & Miller, 2001; Galbraith, 2002; Miller, Hope, Eisenstat, Foote, & Galbraith, 2002; Phillips, Ochs, & Schrock, 1999). In line with the service-dominant logic (Vargo & Lusch, 2004, 2008) such offers focus on concrete outcomes for the customer rather than single activities and tasks of the supplier. In short, a buyer purchases the result of the solution used, i.e., what the solution does for him (utilization of products and services or performance outcomes), and not ownership of physical goods. Considering the famous quote attributed to Theodore Levitt where “people don't want to buy a quarter-inch drill, they want a quarter-inch hole”, solutions enable customers to buy only holes in walls (i.e., performance or outcome), instead of a quarter-inch drill (physical good). A well-known example to illustrate this idea in the B2B context is the Rolls Royce “Power-by-the-hour®” concept for the service and support of aerospace engines. In this concept the servicing is not paid according to the spares, repairs or activities provided to the customer, but by how many hours the customer gets power from the engine. However, the theoretical and practical understanding of outcome-oriented solution concepts is currently at an emerging stage. Despite the growing practical interest, little research has been established in understanding the dynamic relationship between the firm and the customer under outcome-oriented solution offerings where customer value is co-created. Due to the complexity of such outcome-based business models, solution providers very often fail to realize moderate prices for their offerings (Roegner, Seifert, & Swinford, 2001). Additional to the generally sparse academic literature about solution selling, to date only few attempts have been made to address issues of pricing in this context. Therefore, this paper discusses solutions by focusing on supplier’s capabilities of value appropriation. According to leading strategy scholars, setting up a business strategy is concerned with aligning customer value creation and appropriation by balancing resource allocation between these two sets of activities (Foss & Foss, 2005; Mizik & Jacobson, 2003). Pricing can be seen as a central means of a firms' value appropriation capability (Dutta, Zbaracki, & Bergen, 2003). Based on an intense literature review and fifteen in-depth interviews the key contribution of our research is a generic pricing-process for solutions with critical routines and activities for each process step.